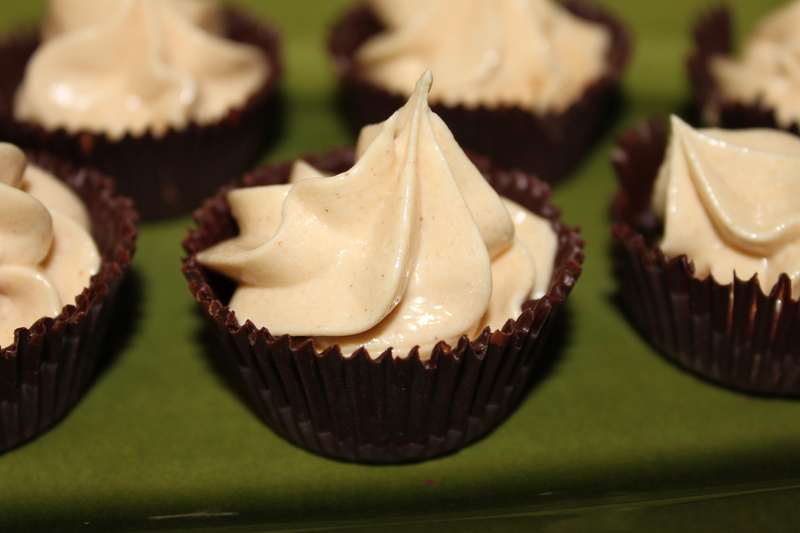 Nothing says comfort like peanut butter and chocolate. When I’ve had a really bad, rotten-awful day, peanut butter and chocolate satisfy my soul. Sometimes I just dip a square of chocolate into a jar of peanut butter, but that was before I got married and didn’t care how many times I double-dipped in that jar. Now, I have to show my husband good manners, otherwise he’ll continue to drink juice from the container. However, I didn’t make this to satisfy any personal craving of mine, but to make this out of a sweet gesture to my husband–for Valentine’s Day dessert. I was inspired by something similar in Martha Stewart Living. This dessert is super easy to make and the longest thing you’ll have to do is to wait for the cream cheese come to room temperature. 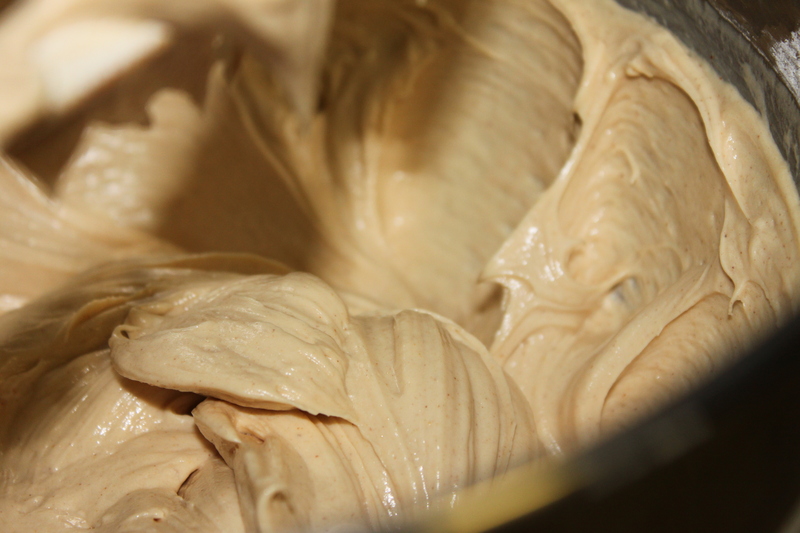 Make sure that your cream cheese is at room temperature, otherwise the peanut butter-cream cheese mixture will be lumpy instead of smooth. You also need to make sure you have really good chocolate, as it’s not mixed in anything. 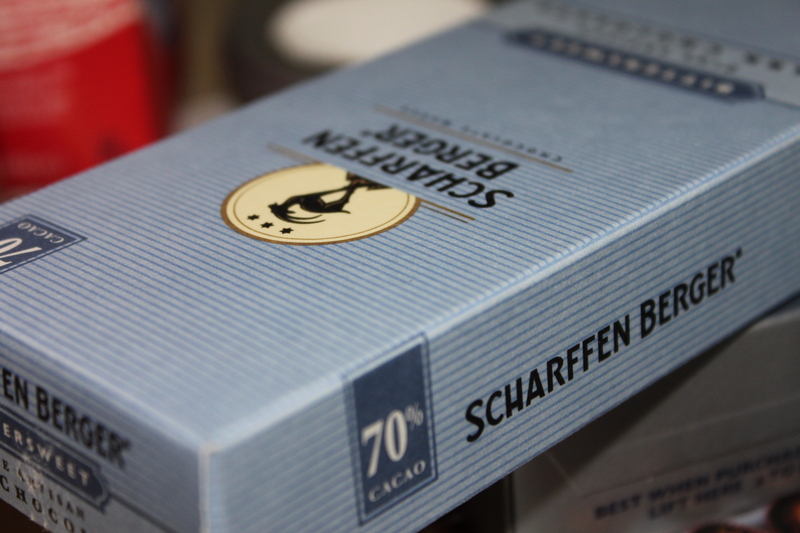 I really like this brand, but any good-quality chocolate will do. Using a double boiler, melt the chocolate. I like to use a double boiler because I am afraid I will burn the chocolate using a microwave. 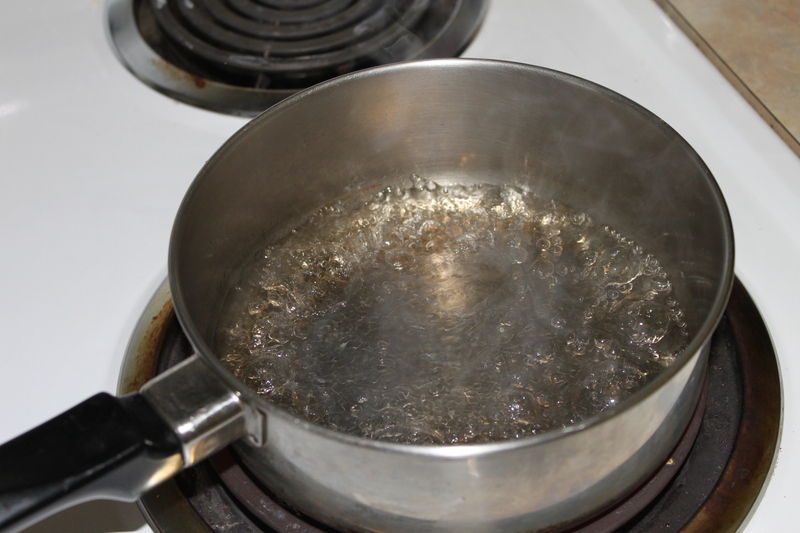 Bring the water to a boil and then put the heat on simmer. Put the “lid” on top with the chocolate and watch it slowly melt. Once it has melted, take it off the heat. I usually put a towel underneath the “lid” and set it on the counter. 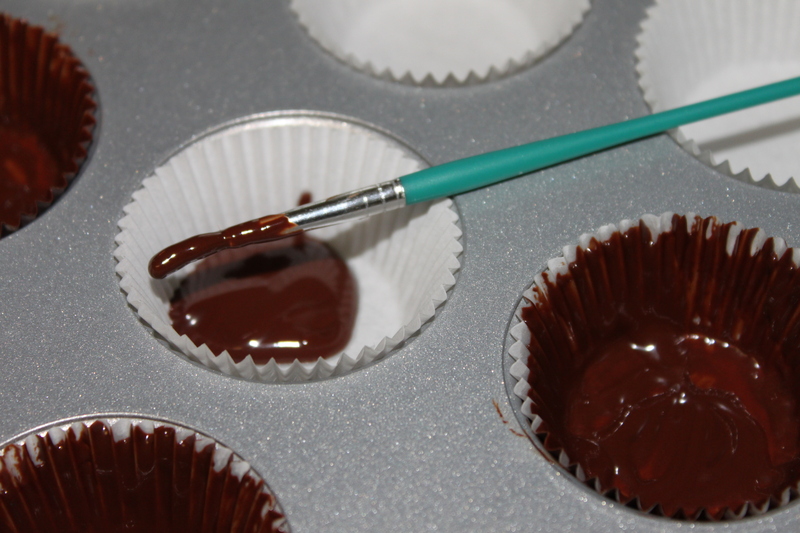 Then fill a 24 mini-muffin tin with mini cupcake liners and “paint” the chocolate around the liners. 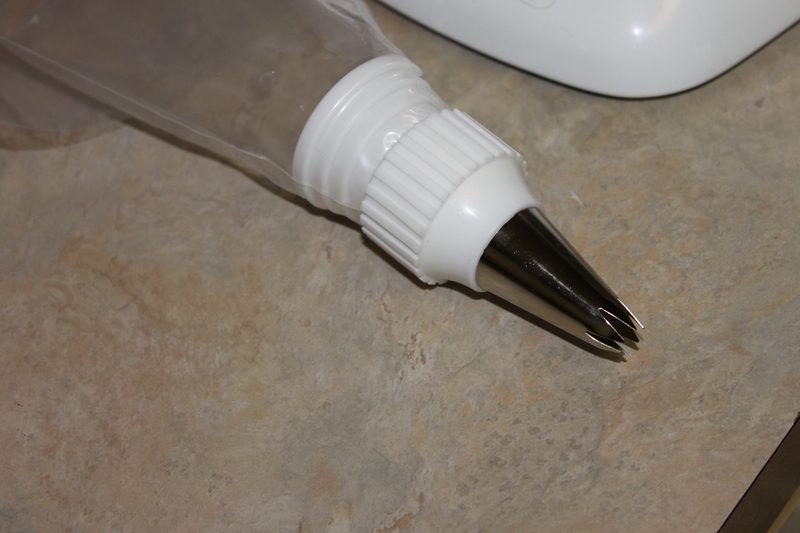 I found it easiest to spoon a little bit into the bottom of the liner and then brush upwards. You will create two coats, so just cover the first one fairly well. Make sure you use a food-safe brush! Meaning, if you’ve used the brush for anything other than food, get a new one. 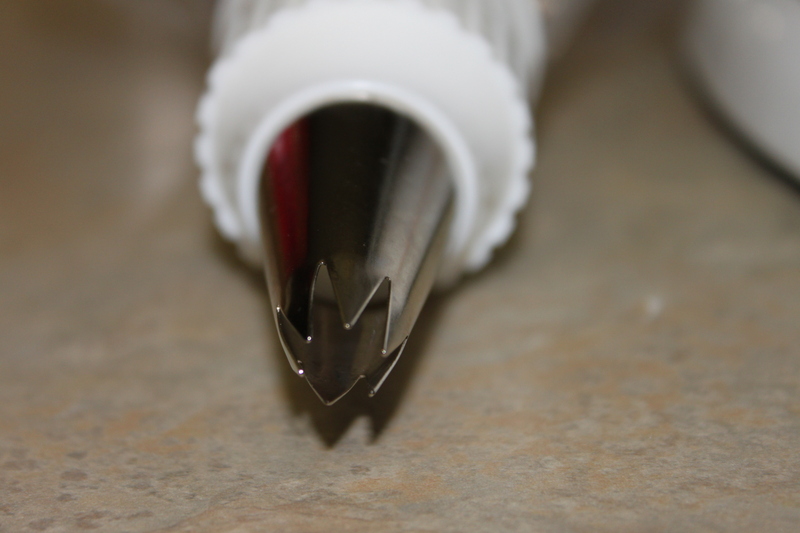 Brush to the top of the liners (like the cup on the far upper left). 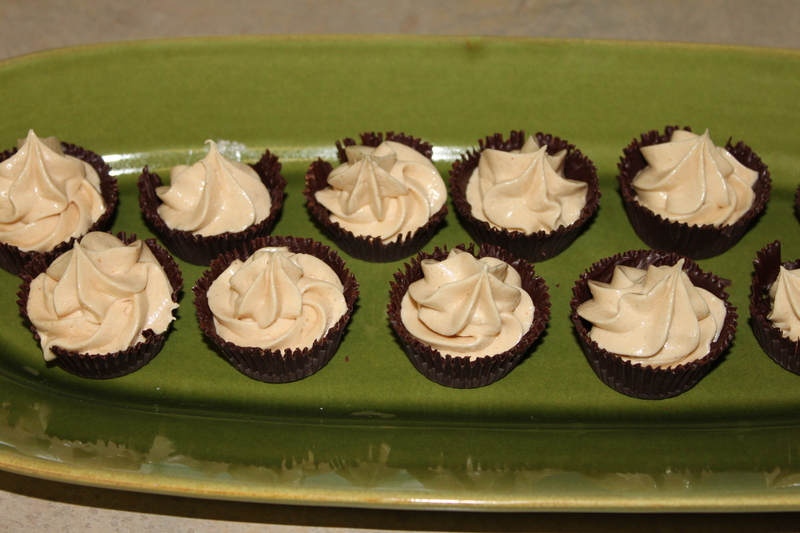 Once you have painted the cupcake liners, put the tray in the fridge for at least 10 minutes to set. Then paint again and put back in the fridge. 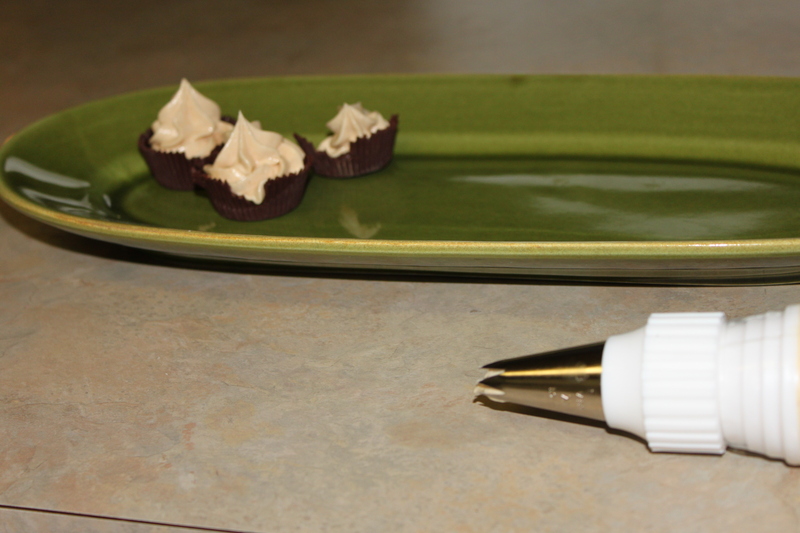 While the chocolate is setting up, you can start working on the peanut butter-cream cheese filling. 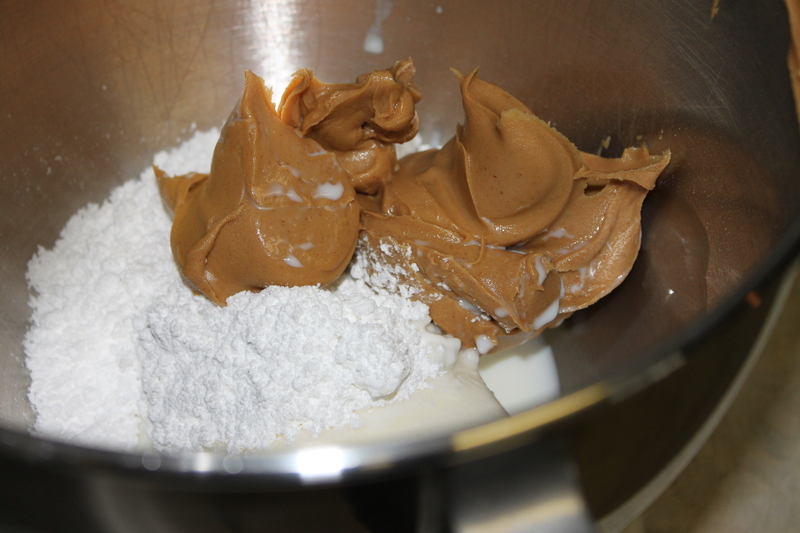 Dump all the ingredients, (peanut butter, milk, cream cheese, and powdered sugar), in a mixing bowl. 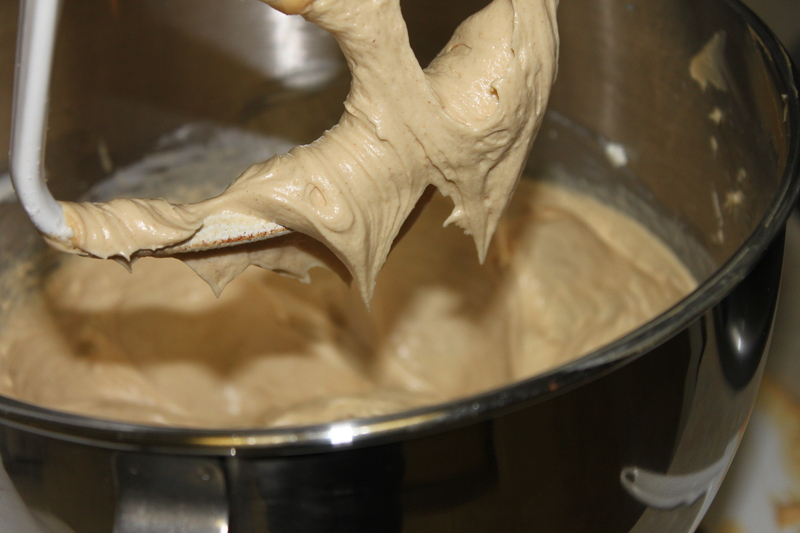 Mix until it is creamy and smooth (about 2-3 minutes). It should be nice and thick. At this point, you can take the chocolate out of the fridge and peel the liners off, leaving just the shell. Warning: This is really messy and you’ll probably lose some of the top of the shells. Try not to let it frustrate you too much, otherwise you won’t get past this point. 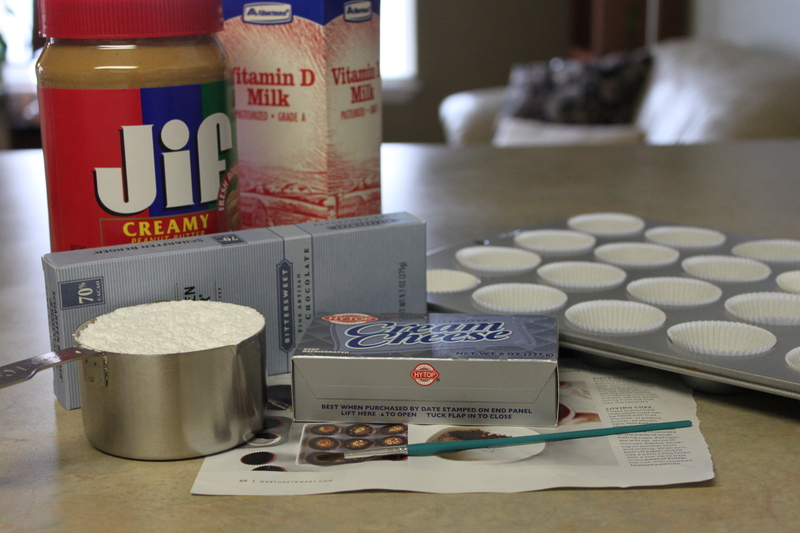 Fill a pastry bag with a large tip, (I like the 1M tip from Wilton), and spoon the filling into the bag. Line a mini-muffin tin with cupcake liners. 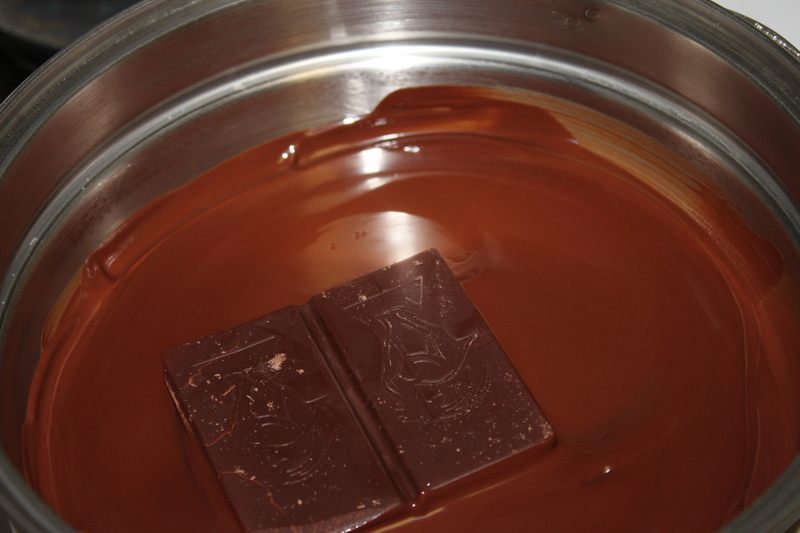 Melt chocolate in a double boiler. 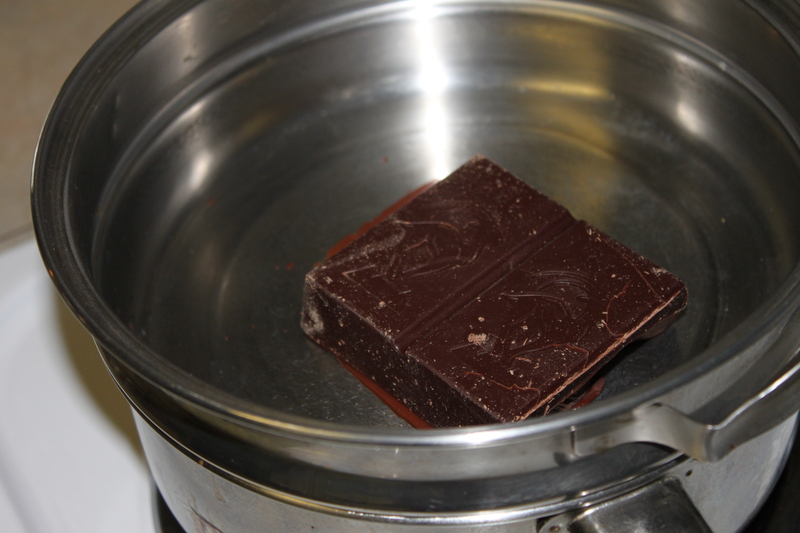 Once chocolate has cooled, remove from heat. Paint the chocolate on the inside of the cupcake liners After one coat is painted, put it in the fridge to set up, about 10 minutes. Remove from the fridge and paint a second coat. (You may need to reheat the chocolate.) Put it back in the fridge to set up. Take out of the fridge once it is again set up and peel the liners off. 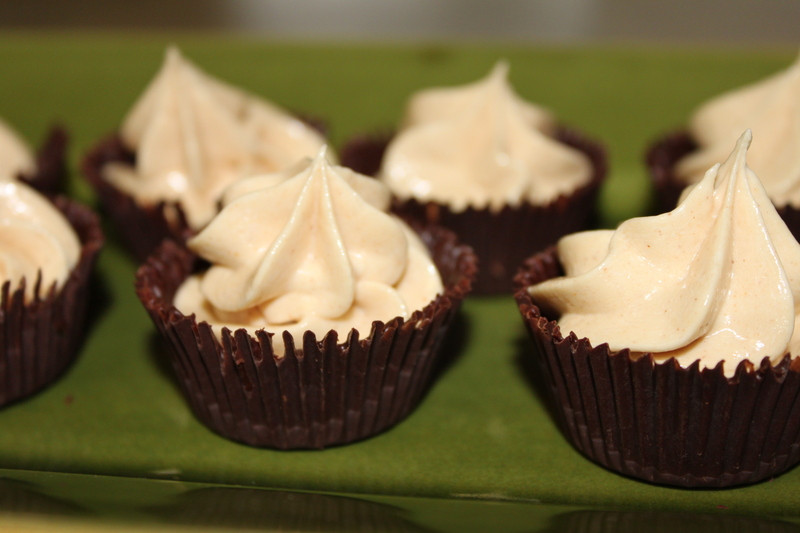 Fill each cup with the peanut butter filling. To make the filling: In a medium bowl with an electric mixer, beat together all ingredients until smooth and fluffy. Fill a pastry bag with a large tip and pipe into the cups. Leave in the fridge until ready to serve and eat.